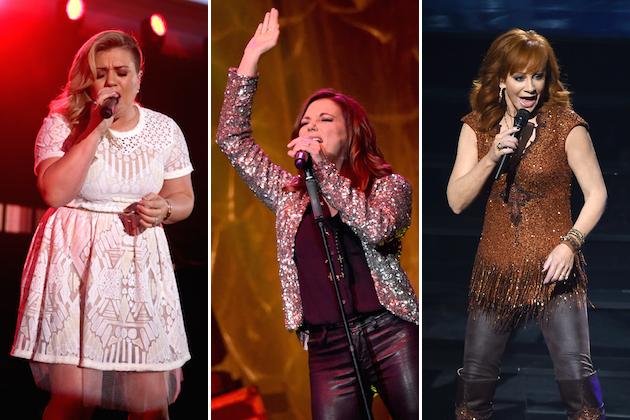 Kelly Clarkson, Martina McBride, Reba and other surprise guests are kicking off this year’s Rock the Room Tour for Musicians on Call, a national non-profit that brings music to the bedsides of hospital patients across the country. The Rock the Room Tour will premiere in Nashville on Oct. 21 and then hit cities including Los Angeles, New York and Washington D.C. The tour aims to raise awareness of the positive impact music has on healing and support the charity’s work bringing musicians to perform at hospitals around the country. Last year’s Musicians on Call 15th Anniversary Celebration raised more than $700,000 and featured appearances by Clarkson, Nick Jonas and Jessie J.
Warner Music Nashville’s Creative Director Shane Tarleton will be honored at the kick-off concert for his involvement as an eight-year Musicians on Call volunteer and advisory member. Since Musicians on Call began in 1999, the organization has reached nearly half a million individuals and has accumulated a notable list of past and present supporters including Justin Bieber, Ed Sheeran, Florida Georgia Line, Pharrell and Bruce Springsteen to name a few. To get tickets for the Rock the Room Tour, click here. For more information on Musicians on Call, click here.